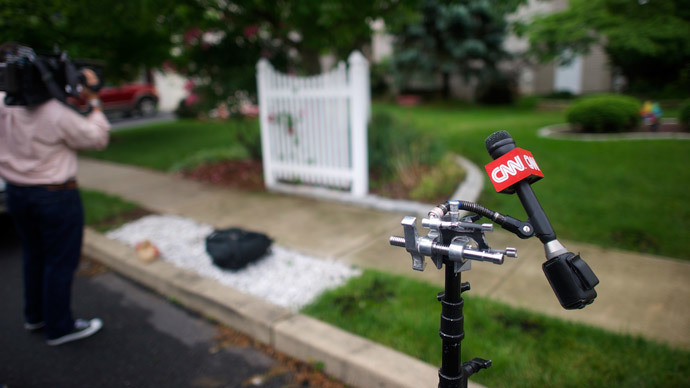 CNN international has received a broadcast license in Russia, media watchdog Roskomnadzor confirmed. The channel stopped broadcasting at the end of 2014 after changes to Russian legislation. “On March 23, we received a license from Roskomnadzor to broadcast [in Russia] for up to 10 years,” a source in the US company told Izvestia newspaper. Roskomnadzor head Aleksandr Zharov confirmed that the watchdog gave a broadcast license to CNN. “I welcome the fact that CNN clearly follow the agreements reached in the negotiations, and I believe that it [the channel] will also be accurate and flawless in its content policy,” he told the paper. CNN stopped broadcasting in Russia on December 31, 2014, after changes to Russian legislation regulating the operation of mass media. In particular, a ban on advertisements on pay television came in force from January 1, 2015. "Turner International is exploring options for the distribution of CNN in Russia in the light of recent amendments in Russian legislation concerning mass media,” a representative from Turner Broadcasting System Europe said in November. Roskomnadzor then denied it had anything to do with CNN International’s plans to stop broadcasting in Russia. “CNN shareholders should be asked about the reasons behind the stoppage of broadcast,” a Roskomnadzor representative Vadim Ampelonsky said. The news agency also cited a source familiar with the business of the news network in Russia saying that the reasons for pulling out were commercial. Back in February the channel submitted an application to Roskomnadzor for obtaining a universal broadcasting license and re-registration. Cable News Network (CNN) was created in the United States in 1980 by Ted Turner and was the first channel to begin broadcasting 24/7. CNN International was launched in 1985 and following the collapse of the Soviet Union began broadcasting in Russia at the beginning of the 1990s.